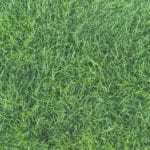 Choose the right grass: Set your lawn up for success by choosing a grass that will work in your area and with the shade level in your yard. 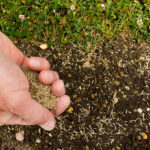 Aerate and overseed: Once a year in the fall or spring, you should aerate your lawn and overseed. 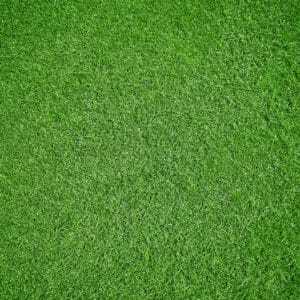 This helps new grass grow and for established roots to breathe. Water well: For green grass, long soakings once or twice a week is more valuable than surface-level watering daily. 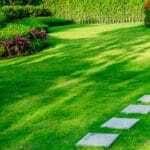 Fertilize: A high-quality fertilizer will give your lawn the greener appearance you desire. Generally, one with nitrogen is the best choice. Mow to the right height: Grass blades should be left up to 3 inches high. This is so the top of the grass blade is tall enough to adequately shade the root area and the soil. Test the soil: A soil pH reading of 7.0 (neutral) is ideal. Growing conditions can be dramatically improved by reducing soil acidity with lime applications. It’s called our Green Lawn Program. It includes eight lawn treatments throughout the year so you can have your best lawn ever. 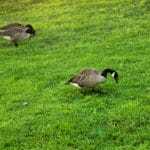 Call the lawn professionals at 888-581-5296 to get a free quote today.